The world has lost a most caring and wonderful man. Christopher “Chris” Petaja was hiking on a nature trail with friends overlooking the ocean in Santa Barbara when he turned off the trail in search of a short cut to the ocean. The rain-soaked ground gave way and he slid off a cliff to his death, a heartbreaking accident. Chris was born in Helena, Montana, to Charles Petaja and Pat Petaja Seiler on December 24th, 1975. He was welcomed home by his brother Mike and sister Jennifer wrapped in a red Christmas stocking. Chris attended Clancy Elementary School where he made life long friends; they remain close today. He graduated from Helena High School and earned a liberal arts degree from the University of Montana, followed by a law degree from Golden Gate University School of Law in San Francisco. Always and individualist, Chris won the family award for most creative hair. From his adorable halo of blond curls as a toddler he went to a pony tail in high school followed by the funky blue hair in college. Chris loved nature and the out-of-doors. As a young boy, he and his step brother Chris DeVerniero were inseparable. The two spent countless hours in his little cabin at the ranch in Clancy. He loved hunting with his father, fishing with his grandparents and hiking with friends. Chris was the family chef. He loved to cook. Whether it was enchiladas from his days at Rose’s Cantina or ginger carrot soup from his time at the Feathered Pipe Ranch he could always be found busy at work in the kitchen at family gatherings. He adored his two children Analie and Levi. As a single father, successfully co-parenting with his ex-wife Sumana, his time with his children could be found cooking butter noodles, filling the tub with bubble bath, playing a favorite board game and reading nighttime stores. He adored them with all his heart, they were his everything. Chris was adored by his family and treasured their time together. From intimate weekly calls with his best friend and brother Mike, to bonding vacations with his sister, Jennifer, to Sunday barbecues, attempts at golf, and stories on the deck at his fathers’ home, family came first for Chris. He shared reunions with his mother’s Polish family of hundreds. He cherished the opportunities for international travel and long talks with his mother. His siblings, Mike and Jennifer, were his best friends. They were in communication often. They problem solved together, counseled each other, and their bonds were unwavering. Chris also was very fortunate to have three wonderful older family members to guide and love him. His grandfathers Clarence Petaja and Walter Lesniak, and his step-father Art Seiler, all loved Chris and were inspirational role models as he matured into a successful father and attorney. Everyone was touched by Chris’s selfless and caring spirit. He had many unwavering friendships and his friends share they could always count on him and he never let them down. He was fun-loving with an infectious laugh loved by all. Law judges and fellow lawyers speak of a passion for his clients and a keen legal mind. Families have traditions they hold dear. Chris’s family plays a gin game called “13.” His family’s sorrow is somehow bearable knowing Chris is now in heaven playing “13” with his dear gramps, Walter. Chris was preceded in death by grandparents Clarence and Agnes Petaja of Big Timber and Walter and Virginia Lesniak of Billings, and step-father, Art Seiler of Helena. He is survived by his children, Analie Grace Petaja and Levi Walter Petaja of Bozeman. His mother, Pat Seiler of Helena, his father, Charles Petaja and his step mother, Maggie, of Helena, his brother, Michael Petaja of Helena, and his sister, Jennifer Gray (Joe), and two nephews, Austin Cupic and Kyle Cupic, of Seattle, Washington. Chris is also survived by his step-brother Chris DeVerniero (Ashley) of Helena, and their two children, Mason and Monroe. Chris’s step sister Kasie Warren (Ryan) and their three children, Peyton, Khloe, and Gavin are from Butte. There are many other loving Aunts and Uncles included in the family. There will be a funeral for Chris Petaja on Wednesday, March 13, 2019, at 11:00 AM at the Plymouth Congregational Church, 400 S. Oakes Street, Helena, Montana. The 11:00 AM service will be followed by lunch. There will be a Celebration of Life gathering to share stories and remembrances of Chris in Bozeman on Saturday, March 16th, 2:00 PM, at the Hilton Garden Inn, 2023 Commerce Way, Bozeman, Montana. In lieu of flowers, the family requests donations be made to the Montana Innocence Project, a 501 (c)(3) dedicated to exonerating the innocent in prison and preventing wrongful convictions. Their web site is: www.mtinnocenceproject.org/donate. GALT, Mary, age 97, of Helena, passed away Wednesday, March 6, 2019. Services are pending at this time and will be announced when they are complete. Please visit www.aswfuneralhome.com to offer a condolence to the family or to share a memory of Mary. FOSTER, Barbara R., age 91, of Townsend, passed away Sunday, March 3, 2019. A funeral service will be held at 11 a.m. today, March 8, at the United Methodist Church, 200 N. Cedar St. in Townsend. A graveside service will follow the service at Deep Creek Cemetery. A reception will follow the graveside service in the fellowship hall of the church. Please visit www.stevensonwilke.com to offer a condolence to the family or to share a memory of Barbara. GRIFFITHS, Judith C. “Judy," age 79, of Helena, passed away Friday, March 1, 2019. A social gathering to celebrate Judy’s life will be held from 11 a.m. to 1 p.m. today, March 8, in the social hall at Anderson Stevenson Wilke Funeral Home, 3750 N. Montana Ave. In lieu of flowers memorials in Judy’s name are suggested to the Lewis & Clark Humane Society, P.O. Box 4455, Helena, MT 59604 or to Helena Food Share, P.O. Box 943, Helena, MT 59624-0943. Please visit www.aswfuneralhome.com to offer a condolence to the family or to share a memory of Judy. LUCK, Holly A., age 69, of Helena, passed away Saturday, March 2, 2019. A funeral Mass will be celebrated at 12 p.m. today, March 8, at the Cathedral of St. Helena, 530 N. Ewing St. A reception will follow the mass in the P.E. Center at Carroll College. Memorials in Holly’s name are suggested to the Kay McKenna Youth Foundation, KMYF, P.O. Box 1260, Helena, Montana 59624. Please visit www.aswfuneralhome.com to offer a condolence to the family or to share a memory of Holly. SAUNDERS, Makaylie H. “Mak," age 11, passed away Saturday, March 2, 2019. A Celebration of Makaylie’s Life will be held at 1 p.m. on Saturday, March 9, at Four Georgians Elementary School, 555 W. Custer Ave. A potluck reception will follow the service at Four Georgian’s. In lieu of flowers, donations may be made to Anderson Stevenson Wilke Funeral Home by phone (406) 442-8520 or by mail to 3750 N. Montana Ave, to assist with the funeral expenses. Please visit below to offer the family a condolence or to share a memory of Makaylie. WINTERS, Bernice L. “Bernie," age 90, of Helena, passed away Friday, Oct. 5, 2018. A service celebrating Bernice’s life will be held at 11 a.m. on Saturday, March 9, at Anderson Stevenson Wilke Funeral Home, 3750 N. Montana Ave. A reception will follow the service in the social hall of the funeral home. Memorials or donations are suggested to Friends of Hospice – Helena (Frontier Hospice) and Son Heaven Assisted Living, who provided Bernie with excellent care. Please visit www.aswfuneralhome.com to offer a condolence to the family or to share a memory of Bernie. HUNTHAUSEN, Father John F. “Jack," age 91, of Helena, passed away Monday, March 4, 2019. Visitation hours will be 10 a.m. to 3 p.m., Monday March 11, at Anderson Stevenson Wilke Funeral Home, 3750 N. Montana Ave. A vigil service will be at 6 p.m. on Monday, March 11, at the Cathedral of St. Helena, 530 N. Ewing St. A funeral Mass will be celebrated at 12 p.m. on Tuesday, March 12, at the Cathedral of St. Helena, with a reception to follow in the Brondel Center of the Cathedral. A Rite of Committal will follow the reception at Resurrection Cemetery, 3685 N. Montana Avenue at 2:30 p.m. In lieu of flowers contributions may be made to the Hunthausen Fund in Helena at Good Samaritan Ministries, 3067 N. Montana Ave, Helena, MT 59601 or by visiting goodsamhelena.org. Please visit www.aswfuneralhome.com to offer a condolence to the family or to share a memory of Father Jack. EVERETT, Donna, age 83, of Helena, passed away Wednesday, March 6, 2019. A private family service will take place at a later date. Please visit www.retzfuneralhome.com to offer a condolence to the family or to share a memory of Donna. SHEVALIER, Patricia A. “Pat," age 77, of Helena, passed away March 1, 2019. No services will be held at the family’s request. Please visit www.retzfuneralhome.com to offer a condolence to the family or to share a memory of Pat. SHEVALIER, Patricia A. “Pat”, age 77, of Helena, passed away March 1, 2019. No services will be held at the family’s request. Please visit www.retzfuneralhome.com to offer a condolence to the family or to share a memory of Pat. LINGOHR, Elizabeth, age 94 of Billings passed away Tuesday, March 5, 2019. Services are pending at this time and will be announced when they’re complete. Please visit www.aswfuneralhome.com to offer a condolence to the family or to share a memory of Elizabeth. MORGAN, Joseph W. "Joe," age 89, of Clancy, passed away March 2, 2019. Services will be held at a later date. Please visit www.aswfuneralhome.com to offer a condolence to the family or to share a memory of Joe. YOUNKIN, Glenn “Charlie," age 88, of Townsend, passed away Sunday, March 3, 2019. Viewing will begin at 10 a.m. with a funeral service to begin at 1 p.m. today, March 7, at Shepherd of the Valley Lutheran Church, 301 N. Cherry St. in Townsend. Light refreshments will follow the service in the fellowship hall of the church. Memorials in Charlie’s name can be sent to Montana 4-H Foundation, P.O. Box 173580, Bozeman, MT 59717; Broadwater Health Center, 110 North Oak St., Townsend, MT 59644; or a recipient of your choice. Please visit www.stevensonwilke.com to offer a condolence to the family or to share a memory of Charlie. FOSTER, Barbara R., age 91, of Townsend, passed away Sunday, March 3, 2019. Viewing will be from 12 p.m. to 6 p.m. today, March 7, at Stevenson Wilke Funeral Home, 212 Broadway in Townsend. A funeral service will be held at 11 a.m. on Friday, March 8, at the United Methodist Church, 200 N. Cedar St. in Townsend. A graveside service will follow the service at Deep Creek Cemetery. A reception will follow the graveside service in the fellowship hall of the church. Please visit www.stevensonwilke.com to offer a condolence to the family or to share a memory of Barbara. GRIFFITHS, Judith C. “Judy," age 79, of Helena, passed away Friday, March 1, 2019. A social gathering to celebrate Judy’s life will be held from 11 a.m. to 1 p.m. on Friday, March 8, in the social hall at Anderson Stevenson Wilke Funeral Home, 3750 N. Montana Ave. In lieu of flowers memorials in Judy’s name are suggested to the Lewis & Clark Humane Society, P.O. Box 4455, Helena, MT 59604 or to Helena Food Share, P.O. Box 943, Helena, MT 59624-0943. Please visit www.aswfuneralhome.com to offer a condolence to the family or to share a memory of Judy. LUCK, Holly A., age 69, of Helena, passed away Saturday, March 2, 2019. A Funeral Mass will be celebrated at 12 p.m. on Friday, March 8, at the Cathedral of St. Helena, 530 N. Ewing St. A reception will follow the Mass in the P.E. Center at Carroll College. Memorials in Holly’s name are suggested to the Kay McKenna Youth Foundation, KMYF, P.O. Box 1260, Helena, Montana 59624. Please visit www.aswfuneralhome.com to offer a condolence to the family or to share a memory of Holly. SAUNDERS, Makaylie H. “Mak," age 11, passed away Saturday, March 2, 2019. A Celebration of Makaylie’s Life will be held at 1 p.m. on Saturday, March 9, at Four Georgians Elementary School, 555 W. Custer Ave. A potluck reception will follow the service at Four Georgian’s. In lieu of flowers, donations may be made to Anderson Stevenson Wilke Funeral Home by phone (406) 442-8520 or by mail to 3750 N. Montana Ave, to assist with the funeral expenses. Please visit www.aswfuneralhome.com to offer the family a condolence or to share a memory of Makaylie. HUNTHAUSEN, Father John F. “Jack," age 91, of Helena, passed away Monday, March 4, 2019. Visitation hours will be 10 a.m. to 3 p.m., Monday March 11, at Anderson Stevenson Wilke Funeral Home, 3750 N. Montana Avenue. A Vigil service will be at 6 p.m. on Monday, March 11, at the Cathedral of St. Helena, 530 N. Ewing St. A funeral Mass will be celebrated at 12 p.m. on Tuesday, March 12, at the Cathedral of St. Helena, with a reception to follow in the Brondel Center of the Cathedral. A Rite of Committal will follow the reception at Resurrection Cemetery, 3685 N. Montana Avenue at 2:30 p.m. In lieu of flowers contributions may be made to the Hunthausen Fund in Helena at Good Samaritan Ministries, 3067 N. Montana Ave., Helena, MT 59601. Please visit www.aswfuneralhome.com to offer a condolence to the family or to share a memory of Father Jack. Barbara R. (Spencer) Foster, of Townsend, MT, passed away in her home surrounded by family on March 3rd, 2019. She was 91 years old. Barbara was born on July 27, 1927, in Mountainair, New Mexico. Her early years were spent in the small, mining mountain town of Terrero, NM, located north of Santa Fe. Later, the family moved back to Mountainair, where she and her three sisters, Helen, Verna Nell and Patsy, and two brothers, Roy Jr. and Richard were raised by parents, Roy and Mabel Spencer. Roy worked for the railroad and later served as the local elected Judge, and owned and ran a small service station and grocery store. Mabel was a tall, beautiful artist from the Autry family in West Texas. Barbara’s father was an accomplished old-time fiddle player, and Barbara learned to play guitar at an early age, playing and singing the old songs along with her father. They played in the evenings for dances and on Sundays for church services. Barbara, the consummate student, loved school and graduated Valedictorian of her class. There was no money in the family to send her to college, but fortunately, she was awarded a full-ride scholarship to attend college in Albuquerque. There, inspired by her high school English teacher, she majored in English, with the goal of becoming a school teacher. This was during WWII, and with a shortage of teachers nationwide, after just one year of college, Barbara qualified to receive an Emergency War Certificate to teach school. She accepted a job teaching in a nearby country school, teaching the first five grades. After five years of teaching there, she learned of a teacher shortage in Montana, a place to which she always dreamed of venturing. She applied for and was offered the job as teacher for the small, rural Winston School, where she would teach grades one through six. When she stepped off the Greyhound bus in Winston, with guitar in hand, she was greeted by School Board Chair, Agnes George, and moved quickly into the schoolhouse living quarters. Barbara was a special teacher who made all of her students feel and find their importance, and instantly understood their needs and what helped them to learn and enjoy school. Wherever Barbara taught, she incorporated her special musical gift of guitar and piano, teaching along with the standards, the old western songs that she learned while playing with her dad. While teaching at Winston, Barbara met a young, charismatic cowboy named, Jack Foster. She and Jack were married August 17, 1951, and four children followed, Joseph, Michael, James and Susan. After taking off work a few years to raise her children, Barbara went back to work, first teaching two years in Toston, MT, and then the majority of her career teaching first grade in the Townsend elementary school. All of this time, Barbara was still working under her limited teaching certificate, so she began attending summer school at Western Montana College and graduated from college in 1968, the same year her oldest son, Joe graduated from the 8th grade! After thirty years of teaching, Barbara retired, but after the loss of her husband, Jack, in 1982, she went back to work, teaching several years in Clancy, MT, and finished out her 37-year teaching career in a private Christian school located in Belen, New Mexico. Again, Barbara retired, but not for long. In 1988, she decided to put her educational experience to work for the state and entered into politics, running for the office of State Superintendent of Public Instruction. The first-time political candidate won the Republican primary, but lost to her opponent in a close general election. Private business was something that Jack and Barbara successfully partnered in, including, owning and operating the Townsend A&W, and Foster Insurance. They purchased land on the flats from the Cook Ranch sale in 1971 and developed it into many of the home units and subdivisions seen today. After Jack’s death, Barbara continued on her own with help from her children to further develop subdivided tracts for housing and commercial business. The next chapter in Barbara’s life was to pursue a lifelong dream of writing. Her son, Mike, who inherited his passion for English and writing from his mother, replaced her typewriter with a computer and after a several lessons, her writing career began. Over the years she had eight books published, and her last book was aptly titled, “Long, Long Trail.” Barbara’s books generally combine fiction with factual history, including elements of a love story, life struggles, heroism, patriotism, excitement, and always a beautiful, young, girl. The young girl seemingly patterned after herself or own beautiful daughter, Susan, who Barbara was immensely proud of. She varied somewhat from that writing style when she was commissioned by the family of a well-known southwestern artist, Freemont Ellis, to write his biography. Barbara accurately outlined the man’s successful life and accomplishments in the book, but did it with her special flair and touch. Barbara is preceded in death by her husband, Roger L. (Jack) Foster; parents, Roy and Mabel Spencer; sisters Dixie Jo Spencer, Patsy Allen, Verna Nell Whitehead; brother, Roy Spencer Jr; and son-in-law Greg Ames. She is survived by her sister, Helen Spivey and husband Joe of Snyder, TX; brother, Richard Spencer and wife Bonnie of Mountainair, NM; brother-in-law Bob Allen of Friendswood, TX and sister-in-law Lula Spencer of Mountainair, NM; children, Joe Foster and wife Victoria of Montana City, Mike Foster and wife Mary of Bozeman, Jim Foster and wife Sharon of Townsend, and Susan Ames of Helena. Grandchildren, Jaclyn Haven and husband Bryan, Steven Foster, Lacey Mattson and husband Carl, Brad Foster, Sean Foster, Jack Foster and wife Demaris, Bob Foster, Patrice Grzebielski and husband Kevin, Brian Foster, Mike Olsen and wife Stacey, Nick Olsen, Rochael Vogt and husband Cory, Teddi Foster, Lance Ames and wife Jennifer, David Ames and wife Gabriella, Ashley Dalton and husband Tony, and Nicole Ames. Great Grandchildren, Jack Haven; Nolan, Evan and Landon Mattson; Orlando, Yahaira and Amaris Foster, Patrick, Logan, Tristan, and Adalynn Olsen, Miya Olsen, Conner Vogt and Paislee Foster; Alivia, Blake, Carissa and Seth Ames, and Dallin Dalton. Great-great grandchildren Jowell and Jetxiel. Barbara also had numerous nieces and nephews and their families who were all so loved and very special to her. Viewing will be from 12:00 p.m. to 6:00 p.m. on Thursday, March 7th at Stevenson Wilke Funeral Home, 212 Broadway in Townsend. A funeral service will be held at 11:00 a.m. on Friday, March 8th at the United Methodist Church, 200 N. Cedar Street in Townsend. A graveside service will follow the service at Deep Creek Cemetery. A reception will follow the graveside service in the fellowship hall of the church. Please visit www.stevensonwilke.com to offer a condolence to the family or to share a memory of Barbara. LINGOHR, Elizabeth, age 94, of Billings, passed away Tuesday, March 5, 2019. Services are pending at this time and will be announced when they’re complete. Please visit www.aswfuneralhome.com to offer a condolence to the family or to share a memory of Elizabeth. MATYAS, Louis S., age 89, of Helena, passed away Feb. 28, 2019. A graveside service with military honors will be held at 1 p.m. today, March 6, at Resurrection Cemetery. Please visit www.aswfuneralhome.com to offer a condolence to the family or to share a memory of Louis. YOUNKIN, Glenn “Charlie," age 88, of Townsend, passed away Sunday, March 3, 2019. Viewing will begin at 10 a.m. with a funeral service to begin at 1 p.m. on Thursday, March 7, at Shepherd of the Valley Lutheran Church, 301 N. Cherry St. in Townsend. Light refreshments will follow the service in the fellowship hall of the church. Memorials in Charlie’s name can be sent to Montana 4-H Foundation, P.O. Box 173580, Bozeman, MT 59717; Broadwater Health Center, 110 North Oak Street, Townsend, MT 59644; or a recipient of your choice. Please visit www.stevensonwilke.com to offer a condolence to the family or to share a memory of Charlie. FOSTER, Barbara R., age 91, of Townsend, passed away Sunday, March 3, 2019. Viewing will be from 12 p.m. to 6 p.m. on Thursday, March 7, at Stevenson Wilke Funeral Home, 212 Broadway in Townsend. A funeral service will be held at 11 a.m. on Friday, March 8, at the United Methodist Church, 200 N. Cedar St. in Townsend. A graveside service will follow the service at Deep Creek Cemetery. A reception will follow the graveside service in the fellowship hall of the church. Please visit www.stevensonwilke.com to offer a condolence to the family or to share a memory of Barbara. 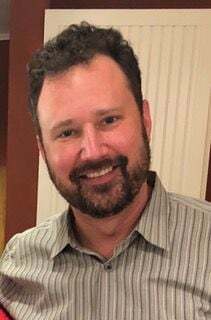 DANZER, Jonathan “Jon," age 42, of Helena, passed away on March 3, 2019. A memorial service celebrating John’s life will be held at 1 p.m. on Tuesday, March 12, at Anderson Stevenson Wilke Funeral Home, 3750 N. Montana Ave. in Helena. A reception will follow the service at Eagles #16, 801 N. Fee St. in Helena. In lieu of flowers, memorials in honor of Jon are suggested to the Danzer Family Benefit Account at Valley Bank in Helena. Please visit www.aswfuneralhome.com to offer the family a condolence or to share a memory of Jon. HUNTHAUSEN, Father John F. “Jack," age 91, of Helena, passed away Monday, March 4, 2019. Visitation hours will be 10 a.m. to 3 p.m., Monday March 11, at Anderson Stevenson Wilke Funeral Home, 3750 N. Montana Avenue. A Vigil service will be at 6 p.m. on Monday, March 11, at the Cathedral of St. Helena, 530 N. Ewing St. A funeral Mass will be celebrated at 12 p.m. on Tuesday, March 12, at the Cathedral of St. Helena, with a reception to follow in the Brondel Center of the Cathedral. A Rite of Committal will follow the reception at Resurrection Cemetery, 3685 N. Montana Ave. at 2:30 p.m. In lieu of flowers contributions may be made to the Hunthausen Fund in Helena at Good Samaritan Ministries, 3067 N. Montana Ave, Helena, MT 59601. Please visit www.aswfuneralhome.com to offer a condolence to the family or to share a memory of Father Jack. SHEVALIER, Patricia A. “Pat,” age 77, of Helena, passed away March 1, 2019. No services will be held at the family’s request. Please visit www.retzfuneralhome.com to offer a condolence to the family or to share a memory of Pat. Judith (Judy) Corinne Griffiths passed away peacefully on March 1, 2019. She was born on June 25, 1939 in Butte Montana to Albert and Corinne Leybold. She attended Girls Central in Butte and obtained her GED later in life. On October 28, 1963 Judy married Lyle Griffiths in Butte Montana at her parent’s home. Together they raised 8 children and worked many different jobs to support their family. Mom spent most of her time caring for a blended family and keeping house when Lyle was off working his multiple jobs. She was also a partner with Lyle in their various occupational adventures. They provided janitorial services for Bergum Drug, 4B’s Restaurant, Pacific Hide and Fur, and other establishments around Helena. One of their many endeavors included Hostess Bakery distribution for Helena and East Helena. Also included a vending business, where they provided sandwiches and fruit to Carroll College, Helena Vo-tech, and many state buildings. Later in life mom worked at Capital Sunset Apartments, Waterford Retirement Center, and the Masonic Home. Mom loved to crochet, knit, embroider, and read in her spare time. She loved to play cards and rummy was her favorite. She also taught her daughters how to cook, crochet, knit, and embroider. She was so busy when her children were little that she seldom found time for herself as her family came first. Mom had a soft heart for animals and adopted two cats from the neighbor because they like to hang out at her house. She feed and housed the cats (in the garage) for the last 7 years. She was sure they always were taken care of and spoiled them with treats. Mom and dad loved gardening and horticulture. Their love for trees and gardening began when they were first married. Their first home (7 acres) was completely covered in trees. They involved their children in the caring of the trees with watering detail using buckets. When they moved to the Helena Valley, they planted flowers and trees on many of the 20 acres. Judy is survived by her children, Debbie Barnes of Butte, Deb (Larry) Redmond of East Helena, Cindy Griffiths of Las Vegas NV, Kim (Ron) Hamm of White Sulphur Springs, Koni Griffiths of Santa Rosa CA, Karmen (Kevin) Millhouse of Helena, and daughter-in-law Janie McElhenney of Coeur d’Alene ID, 18 grandchildren, and 15 great-grandchildren. She is survived by her brother-in-law Alan (Donna) Griffiths of Helena, sister-in-law Margo Munson of East Helena, sister-in-law Kay Leybold of Ashland OR, and numerous nieces and nephews. Judy was preceded in death by her parents, Albert and Corinne Leybold; husband Lyle Griffiths; sisters Jeanine Griffith and Barb Moodry; brother Bill Leybold; son’s Kris Griffiths and Kenny McElhenney; brother-in-law’s Stan Munson and Bob Moodry; and nephew Brad Griffiths. A social gathering to celebrate Judy’s life will be held from 11:00 a.m. to 1:00 p.m. on Friday, March 8th in the social hall at Anderson Stevenson Wilke Funeral Home, 3750 N. Montana Ave. In lieu of flowers memorials in Judy’s name are suggested to the Lewis & Clark Humane Society, P.O. Box 4455, Helena, MT 59604 or to Helena Food Share, P.O. Box 943, Helena, MT 59624-0943. Please visit www.aswfuneralhome.com to offer a condolence to the family or to share a memory of Judy. We cherish the memory of Bernice “Bernie” Winters, who passed away the morning of Friday, October 5. Bernie was born 90 years ago to John and Ada Dunlop in Great Falls, Mont. While she grew up with her brother, Lyle, Bernie’s father worked at Black Eagle, the Anaconda mining company, and later hauled coal to Great falls from Stockett with a fleet of trucks. John called his daughter “Roguie,” a nod to the family’s Scottish background and her “rough and ready” demeanor. His coal-delivery business suffered during the Great Depression, causing Bernie’s family to lose the fleet and move to Helena, where a new opportunity arose for John, installing light poles. Bernie attended Bryant School and Helena High School, attending class in boxcars after the 1935 earthquake. She earned 22.5 cents an hour working at Woolworth’s as a teenager and graduated in 1947. Shortly after, in June, she married Roy Zuelke, with whom she had two sons. Bernie loved engaging in the Helena community, serving on the drill team and rising to Senior Regent of the Women of Moose Lodge, driving “Popsicle Pete,” a stock car in Powder Puff Derbies, and bowling with the Mountain Bell telephone company. She was also a member of the Telephone Pioneers and the Elks. Bernie also worked at Gamers Restaurant and later Mountain Bell, where she served for 33 years in the accounting and engineering departments. Bernie and Roy divorced after 19 years of marriage. At the phone company, Bernie befriended Earl Winters, who she married in 1975 in Salt Lake City. They retired in Florida, but only seven years later Bernie lost Earl to heart issues. She used his last name for the rest of her life. Bernie also lived in California and Arizona, before returning to Helena. Later in life, she married former state legislator Jack Gunderson; they divorced in 1997. Surviving Bernie are her son Gordon Zuelke and daughter-in-law Laura, of Helena; son John Zuelke of Gainesville, Florida; step-son Jim Winters (married to Sheila) of MacIntosh, Florida; granddaughter Ashley (married to Ryan Nalty) of Denver; grandsons Joshua (married to Beth) Zuelke and Tomas Zuelke, and great-grandson, Jude Zuelke – all of Gainesville. The family will host a service to celebrate Bernie’s life at 11:00 a.m. on Saturday, March 9th at Anderson Stevenson Wilke Funeral Home, 3750 N. Montana Ave. A reception will follow the service in the social hall of the funeral home. Memorials or donations are suggested to Friends of Hospice – Helena (Frontier Hospice) and Son Heaven Assisted Living, who provided Bernie with excellent care. Please visit www.aswfuneralhome.com to offer a condolence to the family or to share a memory of Bernie. On the evening of March 2nd, 2019, Makaylie passed away peacefully at St. Peter’s Health from pneumonia and complications due to Spinal Muscular Atrophy. Makaylie was surrounded in comfort by her many, many friends and family. Born in Helena, Montana on October 24th, 2007, Makaylie was soon diagnosed with Spinal Muscular Atrophy; a rare genetic disease that robbed her of the ability to walk. Even though her 11 short years were spent wheelchair bound, what God didn’t give Makaylie in physical health, he more than made up for in her intellectual gifts. Always wise beyond her years, Makaylie enjoyed making people laugh with her sharp wit and teasing ways. She loved art, playing soccer from her wheelchair, all music…especially Taylor Swift, performing in the Nutcracker, MDA camp, scary movies, and her many friendships. In fact, making videos for her friends was a favorite pastime. The lessons Makaylie taught us all will forever be in our hearts and she will be deeply missed until our reunion in Heaven. Makaylie is survived by her parents, Erika Saunders and Jack Wagner and brother Jayden Saunders. A celebration of Makaylie’s life will be held at 1:00 p.m. on Saturday, March 9th at Four Georgians Elementary School, 555 W. Custer Avenue. A potluck reception will follow the service at Four Georgian’s. In lieu of flowers, donations may be made to Anderson Stevenson Wilke Funeral Home by phone (406) 442-8520 or by mail to 3750 N. Montana Ave, to assist with the funeral expenses. Please visit www.aswfuneralhome.com to offer the family a condolence or to share a memory of Makaylie. Douglas R. Hansen died peacefully of natural causes in Helena, Mt on February 24, 2019 at the age of 90, with loved ones by his side. Charlaine Anderton, his eternal companion, joined him 6 days later, March 2, 2019. They celebrated their 70th wedding anniversary in December. They are survived by his brother Richard "Hal"(Marie) Hansen of St George, Ut. Their children Cheryl (Tim) Long of Logan, Ut, Craig (Deaun) Hansen of Graham, Wa., Leslie (Paul) Beckstead of Helena, Mt., and Kevin (Susan) Hansen of Helena, Mt As well as 22 grandchildren and 53 great grandchildren. Doug was proceeded in death by his parents, his twin Donald, and his sister Sandra " Sue". Charlaine was proceeded in death by her parents, her brother Jay and brother Doug. They were also proceeded in death by their two sons, Russell and Larry. Doug was born and raised in Richfield. Charlaine grew up in Brooklyn ( between Elsinore and Monroe). They met in high school and married in the Manti temple on December 22, 1948. They lovingly raised 6 children. Were always active members of the Church of Jesus Christ. Doug worked over 40 years for US Gypsum company. He loved working with people and many came to him for counsel and advice. He loved working with the youth from church. He has touched the lives of many and loved by all. He loved the outdoors and big, beautiful gardens. He loved working with wood as did his father. Charlaine loved her family and kept busy caring for all of them. She cooked, canned, sewed and cleaned. They were lucky enough to have her at home, being their mom. Holly ended her 24 years snubbing the distraction of three bouts of breast cancer on March 2 at her home surrounded by her family. She began her eternal journey as she lived among us, with class, strength and an appropriate amount of irreverent humor. Holly was proud of her background of having spent her formative years growing up in East Helena, moving to the big city (Helena), attending Helena Catholic Central High School and graduating from Carroll College. She followed up with a Masters of Public Administration from the University of Montana to enhance her love and efficiency of all that is political. She was a loyal fan and supporter (academically and athletically) of both great institutions. Holly worked for a Governor and three U.S. Senators over a 33 year period. Her 25 years with Senator Baucus were especially rewarding in terms of relationships on the job and with groups and individuals throughout the state. She was content to work behind the scenes without personal recognition to assist people throughout the state of Montana to navigate the bureaucracy or otherwise secure appropriate acknowledgement and services from their government. There was never a question where Holly stood politically. However, the fact that her best friends were of various and diverse political persuasions is a testament to her balance and wisdom. Having avoided personal recognition throughout her life, Holly would be more comfortable not listing the several honors and awards she received for her tireless efforts in the community. However, she was especially proud of being named the YWCA Woman of the Year in Helena in 2014. Holly is survived by her three brothers Rick (Cindy), Rod (Susan) and Brad (Carla). She had six nieces and nephews whom she loved, a large group of great nieces and nephews and her faithful dog Beau. Holly lived her life as an example and to support and foster the recognitions of the value and strength of women in our society. She loved the message for women on the old poster of Rosie the Riveter- “We can do it.” She felt it appropriate that all her pall bearers be women. She was preceded in death by her parents, Bernice and Chester, and special friend Joe Wilson. Holly was so appreciative of Doctor Tom Weiner, the nurses and great staff at St. Peter’s oncology center. Holly’s funeral will be held at St. Helena’s Cathedral on Friday at noon. A reception will follow immediately at the Carroll College PE Center. A private interment will follow in her beloved East Helena. HUNTHAUSEN, Father John F. “Jack”, age 91 of Helena passed away Monday, March 4, 2019. Services are pending at this time and will be announced when they’re complete. Please visit www.aswfuneralhome.com to offer a condolence to the family or to share a memory of Jack. DUNHAM, Paul C., age 87, of Helena, passed away January 26, 2019. A reception honoring Paul is scheduled for 11:00 a.m. to 1:00 p.m. today, March 5th in the social hall of Anderson Stevenson Wilke Funeral Home, 3750 N. Montana Ave. Burial with military honors will follow the reception at the Montana State Veterans Cemetery, Ft. Harrison, MT. Donations in lieu of flowers can be made in Paul’s name to the Food Share of Helena (helenafoodshare.org) or the Intermountain Children’s Home (www.intermountainresidential.org). Please visit www.aswfuneralhome.com to offer a condolence to the family or to share a memory of Paul. MATYAS, Louis S., age 89, of Helena, passed away February 28, 2019. A graveside service with military honors will be held at 1:00 p.m. on Wednesday, March 6th at Resurrection Cemetery. Please visit www.aswfuneralhome.com to offer a condolence to the family or to share a memory of Louis. YOUNKIN, Glenn “Charlie”, age 88 of Townsend passed away Sunday, March 3, 2019. Viewing will begin at 10:00 a.m. with a funeral service to begin at 1:00 p.m. on Thursday, March 7th at Shepherd of the Valley Lutheran Church, 301 N. Cherry Street in Townsend. Light refreshments will follow the service in the fellowship hall of the church. Please visit www.stevensonwilke.com to offer a condolence to the family or to share a memory of Charlie. FOSTER, Barbara R., age 91 of Townsend passed away Sunday, March 3, 2019. Viewing will be from 12:00 p.m. to 5:00 p.m. on Thursday, March 7th at Stevenson Wilke Funeral Home, 212 Broadway in Townsend. A funeral service will be held at 11:00 a.m. on Friday, March 8th at the United Methodist Church, 200 N. Cedar Street in Townsend. A graveside service will follow the service at Deep Creek Cemetery. A reception will follow the graveside service in the fellowship hall of the church. Please visit www.stevensonwilke.com to offer a condolence to the family or to share a memory of Barbara. GRIFFITHS, Judith C. “Judy”, age 79 of Helena passed away Friday, March 1, 2019. A social gathering to celebrate Judy’s life will be held from 11:00 a.m. to 1:00 p.m. on Friday, March 8th in the social hall at Anderson Stevenson Wilke Funeral Home, 3750 N. Montana Ave. Please visit www.aswfuneralhome.com to offer a condolence to the family or to share a memory of Judy. WINTERS, Bernice L. “Bernie”, age 90 of Helena passed away Friday, October 5, 2018. A service celebrating Bernice’s life will be held at 11:00 a.m. on Saturday, March 9th at Anderson Stevenson Wilke Funeral Home, 3750 N. Montana Ave. A reception will follow the service in the social hall of the funeral home. Memorials or donations are suggested to Friends of Hospice – Helena (Frontier Hospice) and Son Heaven Assisted Living, who provided Bernie with excellent care. Please visit www.aswfuneralhome.com to offer a condolence to the family or to share a memory of Bernie. ROSE, Barbara, 87 of Helena passed away March 3, 2019. Services are pending. To offer condolences to the family, please visit www.helenafunerals.com. HERMANSEN, Lois, 92 of Helena passed away March 2, 2019. Memorial service will be 2:00 pm, Monday, March 25, 2019 at Touchmark. To offer condolences to the family, visit www.helenafunerals.com. Faye Joanne Westad was born in Wenatchee WA to parents Arnold L. Iverson and Lillian M. Iverson (Robinson) on April 4th 1934. She led an abundant life spent mostly serving God. Her beliefs were steadfast and unwavering. She would talk to people about God whenever possible. She did missionary work in her early years of life. Faye was a lover of art and an accomplished singer / musician. She attended college at Seattle Pacific University in Washington State as well as University of Montana Western here in Dillon MT. Her teaching degree allowed her to follow her calling as a Christian teacher and mentor, which she lovingly did for over 40 years. She was always one to help her neighbors and family. She was very charitable and helped thousands of people throughout her 84 years. Our Lord and Savior called her home on February 20th 2019. Faye’s final days were spent surrounded by loved ones in her Dillon MT home. Faye was preceded in death by her husband of over 58 years Frankiln “Don” Westad who greeted her in heaven, along with her parents and other family. Faye’s family and Norwegian heritage meant everything to her. She is survived by her sisters: Irene Newton (Jim) of Helena MT; MaryEllen Nettik ( Ernie) of Helena MT; Marlene Tash (Bill) of Dillon MT; Lynn Westad (Elroy) of Dillon MT. Faye is also survived by her children: Don “Scott” Westad ( Yolanda ) of Irwindale CA; LaDonna “Westad” Blackwood ( Richard ) of Dillon MT; Christopher Westad ( Pauline ) of Arcadia CA. Faye was blessed with 13 Grandchildren: Janean Christensen (Chad) of Dillon MT; Kevin Bennett of Pocatello Idaho; Sean Bennett of Glasgow MT; Ian Westad of CA; Amber Westad of CA; Cassandra Longoria of Irwindale CA; Adriana LeGault of Phoenix AZ; Christopher Westad Jr. of Azusa CA; Matt Westad of Arcadia CA; Joshua Westad of Arcadia, CA; KelliAnne Westad of San Francisco CA; Michael Blackwood of CA; Jessica Blackwood of CA. She was also blessed with 11 Great-Grandchildren that span the United States. Her legacy of love and Norwegian tradition will continue on with the entire family. Services will be held as follows: On March 6th 2019 will be public viewing at Brundage Funeral Home; 300 S Atlantic St, Dillon, MT 59725 from 4-7 PM. On March 7th 2019, Funeral services will be held at Our Savior’s Lutheran Church; 715 E. Bannack, Dillon MT 59725 at 11 AM. In lieu of flowers, donations can be sent to Dillon MT Hospice in memory of Faye Westad. Forever in our hearts and prayers. You are dearly loved! HOYRUP, Mary V., age 89 of Helena passed away Thursday, February 28, 2019. Services are pending at this time and will be announced when they’re complete. Please visit www.aswfuneralhome.com to offer a condolence to the family or to share a memory of Mary. DUNHAM, Paul C., age 87, of Helena, passed away January 26, 2019. A reception honoring Paul is scheduled for 11:00 a.m. to 1:00 p.m. Tuesday, March 5th in the social hall of Anderson Stevenson Wilke Funeral Home, 3750 N. Montana Ave. Burial with military honors will follow the reception at the Montana State Veterans Cemetery, Ft. Harrison, MT. Donations in lieu of flowers can be made in Paul’s name to the Food Share of Helena (helenafoodshare.org) or the Intermountain Children’s Home (www.intermountainresidential.org). Please visit www.aswfuneralhome.com to offer a condolence to the family or to share a memory of Paul. GRIFFITHS, Judith “Judy”, age 79 of Helena passed away Friday, March 1, 2019. A social gathering to celebrate Judy’s life will be held from 11:00 a.m. to 1:00 p.m. on Friday, March 8th in the social hall at Anderson Stevenson Wilke Funeral Home, 3750 N. Montana Ave. Please visit www.aswfuneralhome.com to offer a condolence to the family or to share a memory of Judy. Louis S. Matyas, age 89, of Helena, passed away February 28, 2019. Louis Samuel Matyas was born on September 2, 1929 in Kalamazoo, Michigan to Stephen Matyas and Magdoline Zekany. Louis was the youngest of eleven brothers all of whom have passed. Louis married the love of his life Carol Lou Zwack on January 19, 1950. They were blessed with four daughters, Cindy, Melinda, Michelle, and Cheryl, as well as 17 grandchildren and 22 great grandchildren. Louis joined the United States Navy in 1947 where he proudly served on the USS Gurke DD 783 during the Korean War as a Radioman 3/OPS. While in the service he received many distinguished medals. He was also a proud member of the Knights of Columbus. He retired from IBM after 37 years. Louis enjoyed spending time in the Tizers; hunting, fishing, and sapphire mining. He loved teaching his grandchildren card games, and watching the Denver Broncos. Lou and Carol’s greatest passion was traveling. Their favorite places were Hawaii, Panama Canal, Alaska, Mexico, and Hungary. Their married life began in Michigan, taking them to California, Colorado, Montana, Nevada and returning to Montana. Louis is survived by his loving wife Carol of sixty-nine years, daughters, and grandchildren. He was preceded in death by his parents, brothers, and a granddaughter. Burial with Military Honors will be held Wednesday March 6, 2019 at 1:00 p.m., at Resurrection Cemetery in Helena, Montana. In lieu of flowers, donations can be made to the Vasculitis Foundation: www.vasculitisfoundation.org. Please visit www.aswfuneralhome.com to offer a condolence to the family or to share a memory of Louis. Jeffery Dennis Tesdal, age 65, died February 22, 2019, after a brief battle with cancer. Jeff was born in Dickinson ND to Almon & Florence Tesdal. He was raised in Anaconda MT and later moved to Forsyth MT with his second family including Maynard & Muriel Fulton, brothers Tim & Leroy, sisters Ellen & Alicia. Jeff married his wife of 35 years, Colleen Franzen, on June 25th, 1983. They moved to the Helena area in 1986. Jeff gained employment at the MT Department of Revenue and retired after 29 years in June of 2018, as a Computer Systems Analyst. His favorite activity to pass the time was golfing, but he also greatly enjoyed hunting & fishing. He was a football fan loyal to the Denver Broncos. He loved spending time with his large family and dogs. He is survived by his wife Colleen Tesdal, daughter Stacy Kosik, daughter Lisa Tesdal, granddaughter Katherine Kosik, Brother Almon (Rose) Tesdal, brother Russell Tesdal, sister Renee Tesdal, sister Peggy (Gary) Boschee, sister Gail Sutton, brother Charles Tesdal, and sister Regina (Leroy) Stuart. Extended Family – brother Leroy Fulton, brother Tim Fulton, and sister Alicia Fulton-Fritz. He is survived by numerous nieces and nephews, which he loved equally, although it is still disputed to this day who his favorite is, much to his delight. He is preceded in death by his father Almon Tesdal, mother Florence Rosella Tesdal, father Maynard Fulton, mother Muriel Fulton, brother Gene Dwayne Tesdal, brother Dennis Jeffery Tesdal, sister Ellen Fjelstad. The family would like to thank Dr. Wiener and the entire staff at the Cancer Treatment Center, and the entire staff on the Oncology floor at St. Peter's hospital for the care and compassion they provided. A private family service will be held at a later date. In lieu of flowers, an account has been set up at Rocky Mountain Federal Credit Union in his wife Colleen Tesdal's name to help with final expenses. You can make your donation at either branch, but please be sure to tell the bank representative to "share a comment" and leave your name so we know who it came from. Please visit www.retzfuneralhome.com to offer a condolence to the family or to share a memory of Jeff. Roger Paxson Holmes, son of Joseph and Ella J. (Paxson) Holmes, and beloved husband, father, grandfather and great grandfather passed away February 23, 2019 in the early morning at his home in Helena, MT. Roger had three sisters, Ruth Holmes (deceased), Lena Belle (Holmes) Wilcox (deceased) and Althea Holmes. He graduated from Wayland Michigan High School in 1936. Roger came to Montana for a variety of job opportunities. He attended Western Montana College for one year before being inducted on May 3, 1942 into the U.S. Air Force. He was a member of the 397th Bomb Group, 597th Bomb Squadron and Ordinance Bomb Demolition Team. After the war, Roger returned to Montana. In 1946 he began working as the county manager for the U.S. Dept of Agriculture until October 1951, when he took the position of rural mail carrier with the U.S. Postal Service in Whitehall, MT. In 1971 he was promoted to the postmaster position. He retired July 31, 1974. On July 1, 1950, he married Edna Clare Duncan. They celebrated 68 years on July 1, 2018. Their children are Valinda Holmes of East Helena, MT and Sue (Holmes) Kirk (Jim) Kirk of Boise, ID. Roger is survived by his wife, Edna, and their daughters. Roger’s grandchildren are Sami (Kirk) Crockett (Jeremy) of Mountain Home, ID and Jamie (Kirk) Farley (Kyle) of Boise, ID. His great grandchildren are Brooklyn and Brayden Farley and Ruby Sue Crockett. Roger enjoyed the outdoors and spent many great time hunting, water skiing, boating and snowmobiling with family and friends. Roger also enjoyed traveling and spent much of his retirement traveling the world. In April 1951, Roger joined the Masonic Lodge – Mystic Tie Lodge #17 AF & AM and served as Worshipful Master in 1968. He was a member for over 50 years. At home he was a volunteer to his community and was a jack-of-all-trades. Roger requested no services to be held in his honor. Cremation has taken place under the direction of Big Sky Cremations. A private family gathering will take place later this summer. Memorials made in his honor may be sent to the Masonic Home of Montana, 2010 Masonic Road, Helena, MT 59602 or to the charity of the donor’s choice. Surrounded by family, our beloved, Judy May Much, cherished mother, grandmother, great-grandmother and family friend, left us on Sunday, February 24th, 2019. Known to many as “Mama” and Grandma” (related or not), she developed long and lasting relationships. Judy was born in Conrad on New Year’s Day to Elwin and Doris Gossard. While working in Valier, she met and married Jerry Haynes. They had two daughters, Veronica “Ronnie” and Brenda. In 1980, she met her soul mate, Leroy Much, and they were soon married. Through this union Judy acquired three sons, Eric, Lee, and Bobby. Leroy and Judy were inseparable and they traveled, boated and camped with their dog “Bear”. Judy was an active woman who was an avid reader, gardener, card player, and country music fan. She was employed by the Mt. Power Company in Helena for over 15 years. She was an excellent cook and loved to entertain. In fact, last Christmas, she planned and prepared an extravagant Christmas dinner for family and friends. All that knew her, awaited her annual Christmas packages of various breads, candies, and fudge. However, Judy’s true calling was being a grandmother and great-grandmother. This was made clearly evident by the proclamation on her vehicle license plate, “GRMMUCH”. Judy treasured her time with the grandchildren as did they. She was preceded in death by her parents, her sister Doreen, and her daughter Brenda. Survivors include her husband Leroy of Helena, Sister Twila (Dan) of Helena, Daughter Ronnie (Scott) of San Antonio, Sons Eric (Tami) of Helena, Lee (Erin) of Belgrade, and Bobby of Manhattan. Judy also leaves behind several cherished friends including the Liedle and Kitchen families. A graveside service will be held at 1:00pm on Friday, April 5th in the Committal Shelter at the Montana State Veterans Cemetery at Fort Harrison. In lieu of flowers, memorials in honor of Judy are suggested to Frontier Home Health & Hospice, 800 Front St. Helena Mt. or to Compassus Hospice, 1075 N Rodney St. Suite 102, Helena, MT 59601. Please visit www.aswfuneralhome.com to offer the family a condolence or to share a memory of Judy. Maryann (Taylor) Herriges passed to meet Jesus on February 23, 2019. She was born May 31, 1951, in Greenville, MS, where she attended elementary school. She moved with her family to Bloomington, MN, when she was nine years old; she attended Junior High School in Bloomington. Her family moved to Helena when she was 15, where she attended Helena High School, graduating in June 1969. Maryann married Allen Armstrong in 1976 (they later divorced). Allen adopted Maryann’s son Tally Armstrong and the couple had two more children, Charles and Jessica Armstrong. She married Aaron Herriges May 13, 1995. They raised their blended family at their home near Montana City. After graduation from high school, Maryann worked at the McDonalds’s Dept store on Last Chance Gulch. Then 4-5 years later, after moving back to Helena, she worked with Leo Pocha at the Helena Indian Alliance. She also worked for the State of Montana Statistical Unit and Child Care Partnerships. In addition, for a total of 30 years, Maryann was a day care provider working, first, from her home in Treasure State Acres, then later on, she re-established the business in her new home with Aaron near Montana City to care for her own grandchildren. Over the years, Maryann actively participated in several churches in the Helena area. She attended St. Paul’s Methodist Church during her teenage years where she was a member of Methodist Youth Fellowship. She also attended Helena First Assembly of God Church, Crossroads Community Church in East Helena, and Mountain Family Fellowship in the Helena Valley. She attended East Helena Four-Square Church where she served as a Celebrate Recovery group leader and as a greeter. She also was involved in a program to provide clothing and school supplies to the Pakistan School and Ministry. Maryann is preceded in death by her parents Charles R. and Helen G. (Kelly) Taylor; and her brother Charles R. Taylor, Jr. Survivors include her husband, Aaron Herriges at the family home; sister Marilynn Taylor, Florence, MT; children Tally (Valerie) Armstrong, Clancy, MT; Charles Armstrong, Missoula, MT; Jessica Armstrong, Helena, MT; step children Tony (Shari) , Teresa, and Luke Herriges, Yakima, WA; grandchildren Mark Matthews (Megan Brown), Spokane, WA; Christopher (Jacquelyne) Armstrong, Clancy, MT; Johnathon Armstrong, Helena, MT; Kayci Armstrong, Kaydence Lingle, Montana City, MT; Saphrin Anderson, Helena, MT; Jozef Bird, Bozeman, MT; Ava Schwartzmiller, Butte, MT. In addition, she is survived by several sisters- and brothers-in-law in Oregon and Washington. Services will be held at Mountain Family Fellowship at 10 a.m. on March 9th, 2019. Her remains will be interred at Forestvale Cemetery with her parents and brother at a later date. In lieu of flowers donations may be made to IPHC Pakistan and Ministry c/o Mountain Family Fellowship and to Crossroads Community Church, 3125 Walter Drive, Helena, MT 59602 in Maryann’s name. William David Dion 73 became a memory January 26, 2019 and has now found out what, if anything, happens next. Born in Helena, Montana on May 1, 1945 to James Hunter and Colleen Shaw Dion. The middle child between older sister Marcia Knell (Charles) and younger sister Jane Zackary (Fort). Graduate of Helena High School and Denver University, class of 1967. Half a Masters in Mass Communications (only half because it became more important to own a motorcycle than continue schooling). His Mass Com schooling led to a five year stint as lighting director at the local PBS television station. Moved to Salt Lake City in 1973 to found and become managing partner of Perma Graphics, a small (the Christmas party was a table for 3 at McDonalds) plaque and plastic laminating company. At 43 met and married his soulmate Ruth Elliott, 36. Became a Father and Grandfather at age 55 when he adopted his 30 year old stepdaughter, Heather Nicole Elliott and her daughter, Britten Nicole 11. In 1996 received two patents for a personal care product, sold Perma Graphics and with Ruth moved to Gilbert, Arizona to pursue his patents. After a 5 year pursuit he threw in the towel and since it was doubtful that IBM was ready to hire a nearly burned out 60 year old as CEO he went to work as an aftermarket auto parts logistics engineer (that sounds far more prestigious than delivery driver) at Napa Auto Parts. After 12 years of cursing other drivers he retired for good. That takes care of the necessities. Now the incidentals. First there is the obligatory obit line that he will be missed by all who knew him. That’s a possibility but you never know. He was an animal lover and before marrying Ruth owned and trained two German Shepherds one after the other, though even with his dog training experience after 30 years of marriage, he could never get Ruth to sit and stay. In his younger bullet proof days he enjoyed playing in the dirt on the aforementioned motorcycle until sanity overtook him. Wrote a few essays and some poetry incorporated into 40 years of off the wall Christmas cards. He was self-described with the agreement of many as an unrepentant dirty old man, a shameless flirt and utterly charming. Survived by his wife, Ruth, his daughter Heather and our four granddaughters Britten, Abigail, Olivia, and Madelaine and great grandson Maddox. He was an enthusiastic organ donor but after 70 some years of treating his body the way he did the only thing worth donating at the end was his sense of humor. Preceded in death by friends and family and a gazillion trillion bazillion other people. Would like to be cremated and scattered on the Continental Divide at the top of MacDonald Pass west of Helena. That will happen if Ruth gets around to it. If not, then no big deal. After all, Bill has left the building. He suggested that anyone wishing to do a memorial down a shot of really good Anejo tequila and contribute what they can to a no kill animal shelter. Celebration of Life will be held in July in Helena, Montana. Richard C. Sommers, 79 of Reed Point MT, formally of Oceanport N.J Passed away into the loving arms of his Lord and Savior peacefully on February 25th, 2019 due to medical complications at St. Peters Hospital in Helena, MT comforted by his Son and Daughter- in -Law. Richard was born on October 15th, 1939 in Long Branch N.J, the 3rd of 4 sons to Paul and Mary Gross Sommers. He grew up and attended school in Oceanport N.J, and graduated from Long Branch High School, he was a boy scout and earned his eagle scout honor. He Served in the New Jersey Coast Guard Reserve and was a member of the Oceanport Fire and first Aid Departments. He worked for his father's painting company “Paul Sommers and Sons.” where he learned his lifetime trade. Richard was married to his neighborhood friend Carole Farley (Kehoe) in 1960; they had two children together David and Dawn, they divorced after 23 years together. Richard had a taste for wide open spaces in and 1983 he moved from NJ to Montana, where he was an avid hunter and fisherman. Richard never missed an opportunity to share his love and belief in his Lord and Savior Jesus Christ. Richard wanted everyone he came in contact with to hear Gods promise. (For God so loved the world, that he gave his only begotten Son, that whosoever believeth in him should not perish, but have eternal life.. John 3:16) He started his own painting company Rocky Mountain Coatings working commercial jobs tirelessly all over the states of Montana and Wyoming. Richard worked right up until July of 2018 when his medical condition forced his move to Helena, MT to be close to family. Richard was preceded in death by his parents Paul and Mary Sommers and his brother Paul Sommers Jr. He is survived by his children David (Lisa) Sommers of Helena, MT; Dawn (John) Sommers of Oceanport, NJ. Brothers Clement (Lois) Sommers; Wayne (Zenja) Sommers; Grandchildren Blake, Cheyenne, Gabriel, Kendyll, Olivia and Nicholas; several nieces and nephews. The family would like to extend a special thank you to Richards Daugther- in- Law, Lisa who assisted in all of Richards care since July 2018; Golden Options Assisted Living staff especially Kris and Theresa for their exceptional care over the past several months; Dr. Snider, nurse Carly at Pureview Medical in Helena; Dr. Mest and the ICU nurses at St Peters Hospital. THAANUM, Marjorie, age 94 of Helena, passed away Tuesday, February 26, 2019. A memorial service will be held 12:30 p.m., Monday, April 1st, at Retz Funeral Home, 316 E. 6th Ave. A reception will follow the service at the funeral home. She will be laid to rest at Sunset Memorial Gardens. Please visit www.retzfuneralhome.com to offer a condolence to the family or to share a memory of Marjorie. FORTIN, Gerard (Frog). A memorial service will be held on Wednesday, March 6, at 1 pm at Aspen Village Apartments, 615 Janet St., in Helena. Carol Ann Fuller Chaffee passed away February 23 at the age of 89, leaving a legacy of kindness, strength, devotion and family love. Carol was born May 2, 1929 in Englewood, New Jersey to Floyd Merrick and Anna Louise Sanford Fuller. She was the 3rd of 4 children and shared her childhood with brother Bob and sisters Marge and Jean. Growing up in Tenafly she had fond memories of walking home from school for a mid-day meal, summers at Green Pond and watching baseball and hockey in NYC with her Dad. Always “Colly” to her family, she treasured her family and childhood. She attended Tenafly High School and graduated from Keuka College in upstate New York, earning a degree in biology. While working in New York City at Columbia Presbyterian Hospital, she took a trip west with girlfriends. She fell in love with the beauty of Montana – the mountains called to her. She decided to embark on a new adventure, far from her eastern roots, and make Montana her new home. While working for Continental Oil Company in Bozeman she was set up on a blind date with a handsome young man working for the Forest Service, George Chaffee, who would become her life partner. In October, 1954, they were married in Bozeman, and she began a new adventure – the one she was most proud of – raising her family. George’s work took them to Missoula (where son Jeff was born), Miles City (daughter Patty), Prineville, Oregon (daughter Jean), Helena (daughter Lola) finally landing them in Clancy (daughter Dianne) where they would spend the next 25 years in their home on Lump Gulch. Carol was active in the Clancy community, following her children’s school activities, teaching Sunday school, being a 4-H leader, and enjoying the home extension club. She had many friends in the community that she held dear and never missed a sporting event, music recital or academic endeavor of one of her kids. When the children were all in school, she returned to work at St. Peter’s Hospital laboratory and pathology department. She enjoyed the important work and many wonderful friends she made there. During the empty nest years Carol was a hard-working, knowledgeable partner with George in his range management and forestry consulting business, traveling throughout the state. Her knowledge and data gathering grew to an expert level. They also experienced life in other parts of the state, living in Eureka, Ulm, and the Bitterroot Valley before finally returning to Helena, where George, after 57 years of marriage, passed away in 2011. Carol then set out on her final adventure – life on her own again. She continued to live independently in Helena until a few months ago, making new friends, cheering on her favorite teams and spending precious time with her family. A loyal Grizzly, Gonzaga and Mariners devotee, she was the ultimate fan. A pie-baking extraordinaire, her family assumed every gathering would feature one of “Mom’s pies”. Chocolate cake, sourdough pancakes, choke cherry syrup…..balanced by home grown vegetables and preserves. Carol had a green thumb, producing yields no matter where she lived. Carol’s role as Grandma and Great Grandma was treasured and she meticulously kept track of ages, birthdays and what they were up to, never hesitating to do some bragging amongst her friends. Carol is preceded in death by her husband, her parents, her sister, Marge, and her granddaughter, Jessica. She is survived by her son, Jeff (Julie) Chaffee, and daughters, Patty (Bruce) Bell, Jean (Zach) Pallister, Lola (Randy) Ramey and Dianne (Steve) Sigler as well as grandchildren, John, Carolyn, Neal, Jayce, Nicole, Cody, Casey, Kali, Chase, Cole and Valerie. She is also survived by 17 great grandchildren, her brother Bob, sister Jean and many nieces and nephews. The family plans a Celebration of Life on May 24th – details to follow. Memorials in honor of Carol are suggested to the Montana Native Plant Society at www.mtnativeplants.org. Please visit www.aswfuneralhome.com to offer the family a condolence or to share a memory of Carol. PURVIS, Elizabeth “Betty”, age 96 of Helena passed away Thursday, February 28, 2019. Services are pending at this time and will be announced when they’re complete. Please visit www.aswfuneralhome.com to offer a condolence to the family or to share a memory or Betty. MATYAS, Louis S., age 89, of Helena, passed away February 28, 2019. Service arrangements are pending and will be announced when set. Please visit www.aswfuneralhome.com to offer a condolence to the family or to share a memory of Louis.